Thanks for visiting CLSI Exchange, the new home for collaboration for CLSI. Login to access our new committee communities where you and fellow members and volunteers will develop new standards and protocols. 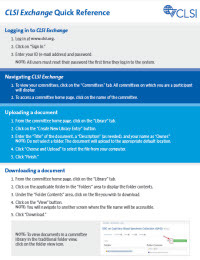 Sign into CLSI Exchange to access your committees.